Roughly eight billion years ago a star exploded, casting into space the iron its engine produced, continuing the seeding of the cosmos with one of the basic ingredients required for life. Iron is a chemical element with the symbol Fe (from Latin: ferrum) and atomic number 26. It is a metal in the first transition series. It is the most common element (by mass) forming the planet Earth as a whole, forming much of Earth’s outer and inner core. It is the fourth most common element in the Earth’s crust. Iron’s very common presence in rocky planets like Earth is due to its abundant production as a result of fusion in high-mass stars, where the production of nickel-56 (which decays to the most common isotope of iron) is the last nuclear fusion reaction that is exothermic. This causes radioactive nickel to become the last element to be produced before collapse of a supernova leads to the explosive events that scatter this precursorradionuclide of iron abundantly into space. Iron is the essential element in hemoglobin, the protein that transports oxygen to burn nutrients that power life in vertebrates. Hemoglobin (pron. :/hiːməˈɡloʊbɪn/; also spelledhaemoglobin and abbreviated Hb or Hgb) is the iron-containing oxygen-transport metalloprotein in the red blood cells of all vertebrates (with the exception of the fish family Channichthyidae) as well as the tissues of some invertebrates. Hemoglobin in the blood carries oxygen from the respiratory organs (lungs or gills) to the rest of the body (i.e. the tissues) where it releases the oxygen to burn nutrients to provide energy to power the functions of the organism, and collects the resultant carbon dioxide to bring it back to the respiratory organs to be dispensed from the organism. Vertebrates are a form of life on Earth that began 525 million years ago, and here we see a photograph of two vertebrates: A dirty blonde primate nursing her infant daughter, absorbing the 4 million year old view of the Sierra mountains, while sitting on a 1,200 year old volcano. This moment of rest and observation lasted about twenty minutes. 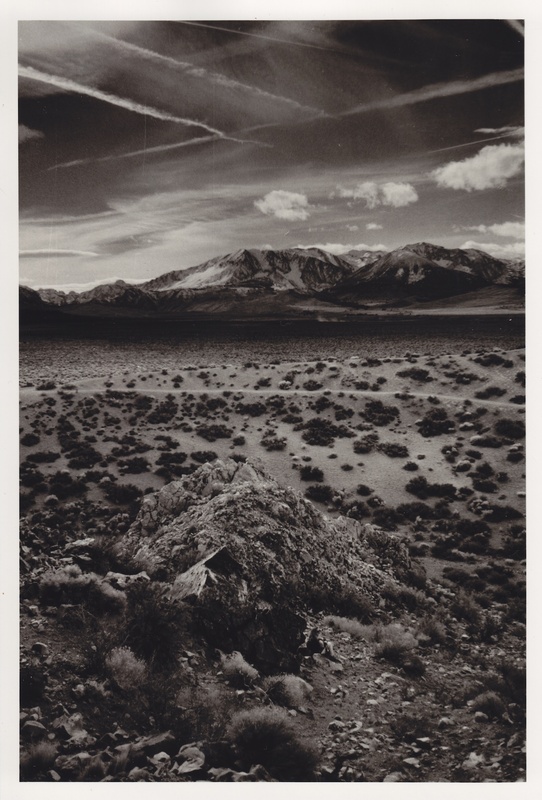 This entry was posted in California, Jolene, Just Stephanie, Saline Valley 2012 by Damon. Bookmark the permalink.